Kyoto at first seems like a beautiful cute little town. It's actually a sprawling city. But for tourists that cute little town is all that we need. It sits snugly in the valley between many hills. Kyoto is super easy for tourists to navigate as long as you can read and write English. Many restaurants would have menus in many other languages as well. Many tourists rent kimonos and samurai clothes and walk around the city dressed in the gear to make for some nice pictures. For the rest of us, these tourists provide an atmosphere of tradition. The city has an insane number of temples and some shrines and one really needs to decide which ones to visit, otherwise you'll just be lost. 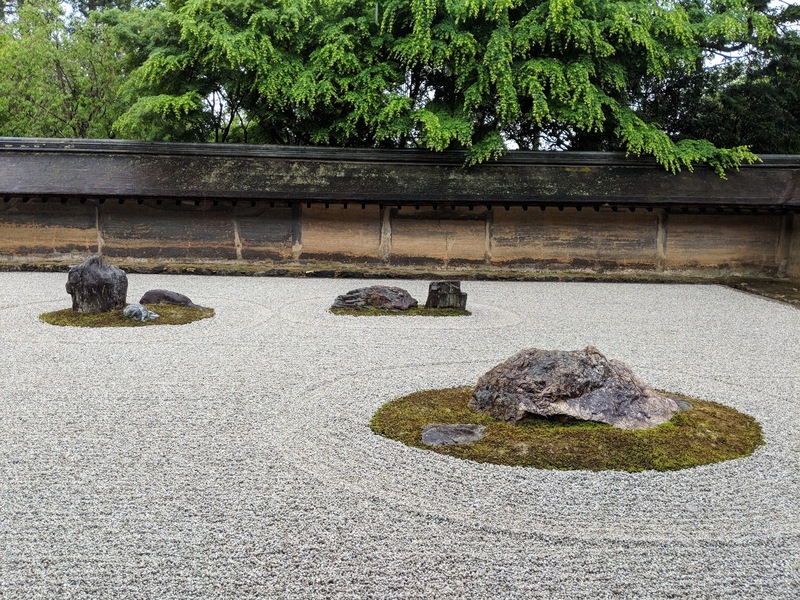 We were in Kyoto for three full days and were not very productive on our first day because of jetlag and continuous rain. Just a bit of background: Shrines are temples of the Shinto religion which is the traditional religion before Buddhism came into Japan. 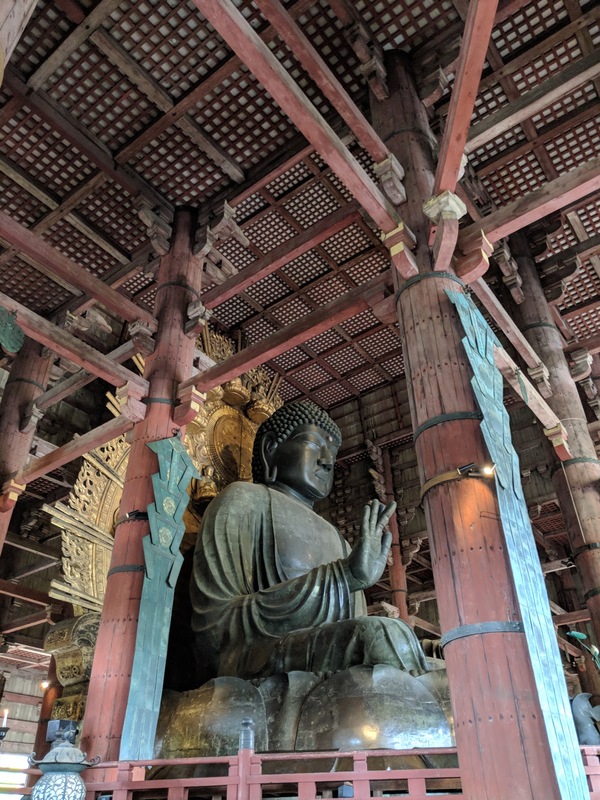 Japan saw phases of acceptance of Buddhism and rejection as well as outright abolition and finally in today's world, a mixture of Shinto lifestyle with Buddhist beliefs. What this meant was that shrines and temples pretty much exist along each other in the same compound. On the rainy day we also did a Kyoto Free Walking Tour (check on Facebook) which was pretty good. It gives you a bit of orientation on Kyoto. 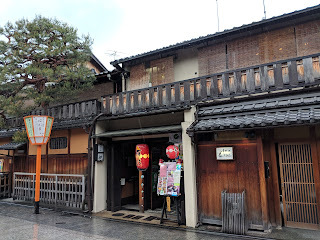 We walked through the Gion Geisha District (and learnt the difference between Maiko and Geiko Geishas and how it's all different from Memoirs of a Geisha), the pretty area of Higayashima, visited a temple and a shrine. Afterwards, we wandered by ourselves to the 700 year old Nishiki market which has a lot of street food and some nice restaurants. On the second day, we took a train to Nara. Nara is similar to Kyoto with many temples but the big one is marked out for you - Todai-ji. Todai-ji hosts a Daibutsu or Vicarana Buddha or simply a massive Great Buddha. It was a mesmerising image. He has a halo of smaller Buddha statues and is flanked by two Bodhisattvas and two guardians. There is a small hole in a pillar that is meant to be the size of a nostril of the giant Buddha and there is a belief that anyone who can pass through it takes good fortune with them. The complex also hosts a 5 level pagoda. There are many other temples and gardens in Nara and we chose one of each, which were on the way back from Todai-ji to the station. We visited the Yoshikien garden which was as cute as a cupcake and we went to the Kofukuji temple. 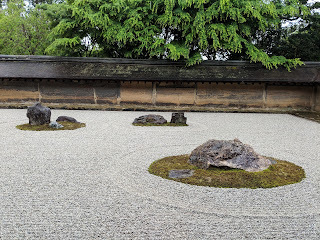 The Kofukuji temple is smaller and less visited. We went there mostly for the National Treasure Museum which hosts many old statues of Bodhisattvas, guardians (who are Gods from Hindu mythology), a six-handed Ashura and a remarkable 1000-handed standing Buddha (Avilokitesvara) in all his glory. The actual statue may not have a thousand hands but he was as impressive as the Daibutsu. Many of the temples have been rebuilt many times over due to destruction by fire because they are all made of wood, sometimes including the idols. At times when the idols were saved yet could not be used in the new temple, they have now been preserved in the museum. No pictures are allowed in the museum. On our way back to Kyoto, we got off at the Inari station for the Fushimi Inari shrine. 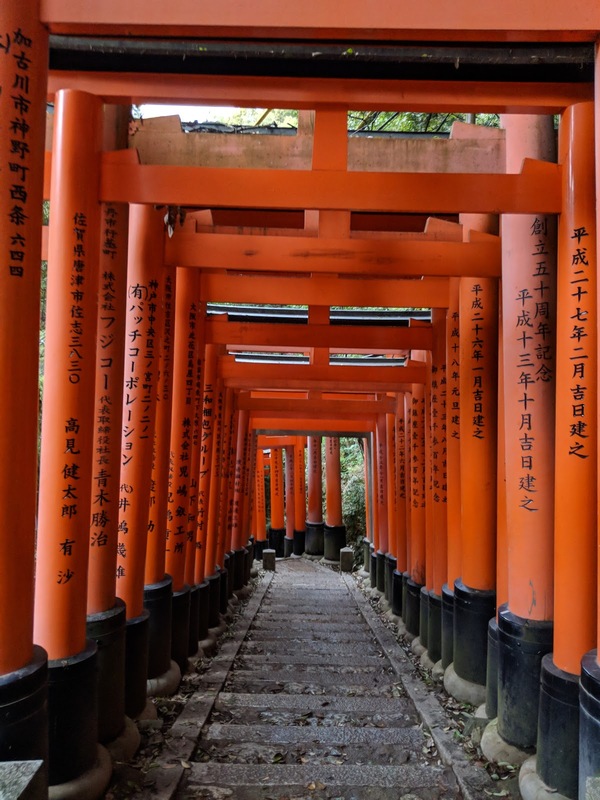 Here we have the iconic image of Kyoto, the innumerable vermilion coloured torii. All shrines have a torii at the entrance where you bow and enter. 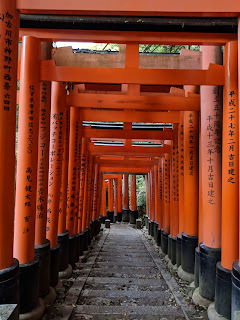 But at Fushimi Inari, while there is one big torii when you enter, there is a path way of 4kms winding over a hill filled with toriis, not linked to the main shrine. There are however, many smaller shrines along the 4kms. The are also good view points of the city of Kyoto if you persist on the path. This is probably the most visited site in Kyoto and hence almost always busy. Yet because of its length (and the altitude that comes with it) if you walk long enough, you'll find a secluded spot for photographs, only interrupted by a handful of tireless tourists and some pilgrims. A famous scene in Memories of a Geisha was shot here. From Inari station, we went back to Kyoto station. The station itself has some nice view points. It took us a while to find it but we eventually found an elevator that would take us to the 10th floor from where we could access the sky walk. It has some great views of the city and the Kyoto tower. There are some nice restaurants in that square that follows from it. 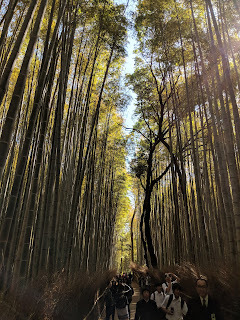 The final day in Kyoto, we woke up early, finally with jetlag overcome, because we wanted to visit Arayashima bamboo grove. Another iconic Kyoto spot, we wanted to beat the crowds. It turned out to be a very short stretch of road and hence, going early was a good idea. Turns out, there are also taxi tours later in the day where the taxis drive through the road which can be really annoying. Midway along the bamboo pathway, there is an entrance to the Tenryu-ji temple. This is the first temple of the day (of the six we saw in the whole day) but it was just the garden that we were able to see and the garden was really pretty and well laid out. 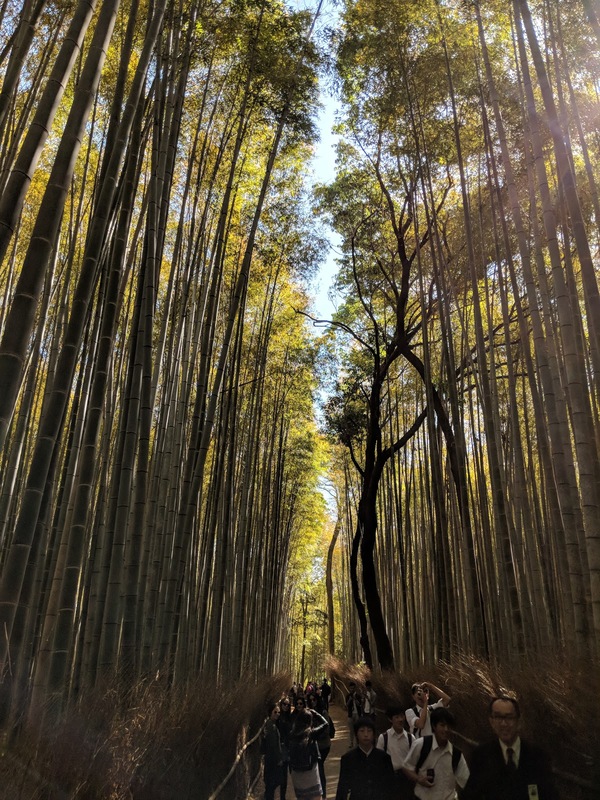 At the end of the bamboo pathway, there is a scenic rail route by the river and through mountains, that takes about 25mins from Torokko Arashiyama station. It's a very nice route and you can sit in the fifth car whose ceiling is made of glass. The ceiling comes in handy during spring due to sakura and autumn. We didn't catch much sakura though. That leaves us at a suburban area from where you can take a 2 hour boat ride back, or just the train. We took the train. The second temple of the say was Daitokuji. It's a temple complex with many sub-temples which are mostly fully functional. There were some 6 temples open to public when we visited and we went to 3. All three of them (may be all of them ?) had Zen gardens and thankfully, they had English pamphlets. 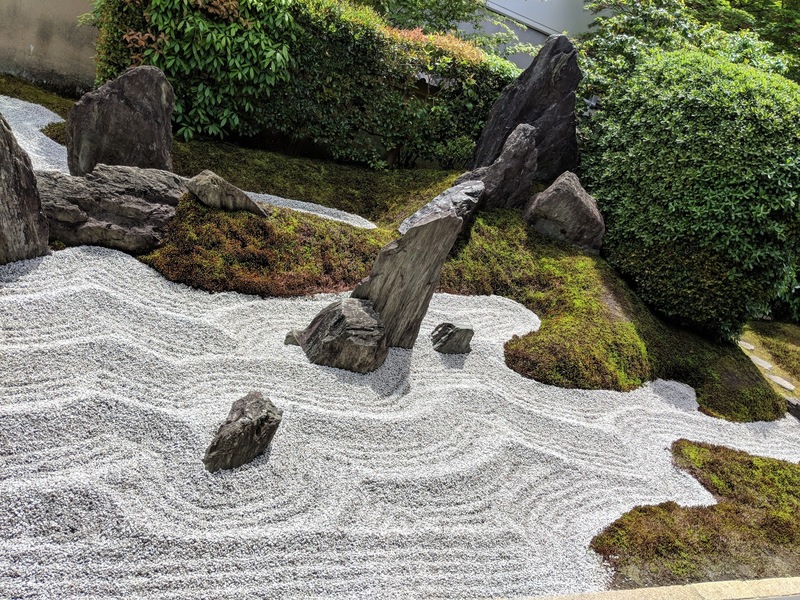 One particular garden helped us understand the meaning of what a Zen garden is. 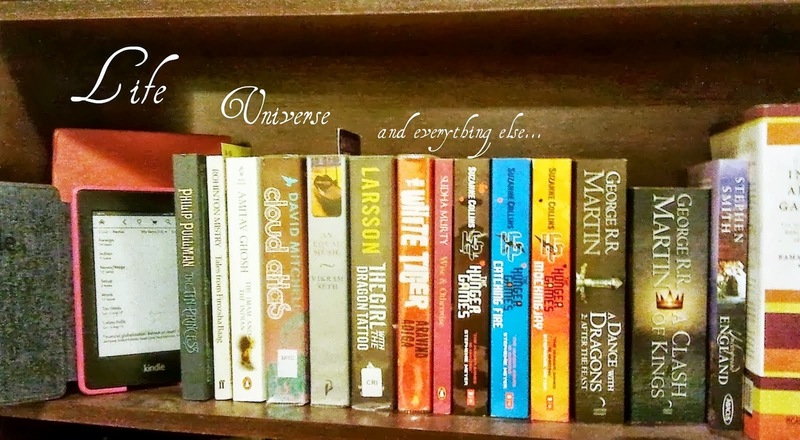 It's usually the sea of life with ripples and the way that the stones are arranged tells us different stories. The most impressive was the tormented sea of life with a turtle for disappointment, a crane for youth and optimism, a door of self doubt, and finally the calm sea of life. We may have appreciated Ryoan-ji better if we had the Zen garden 101 first. In general, Daitokuji had a serene atmosphere to it and left like you were entering a different world. Our third temple was Kinkakuji which translated to Golden Temple, because it is golden. 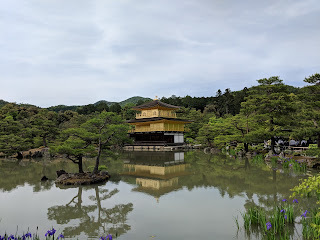 There is a also a Ginkakuji which is a silver temple, although we did not visit it. Kinkakuji was essentially a photo stop. It was crowded when we entered and we were shepherded to a place where we could click pictures and that was pretty much it. The fourth temple was Higashi Honganji temple which is a short walk from the Kyoto station. We went there on the recommendation of Lonely Planet guidebook. 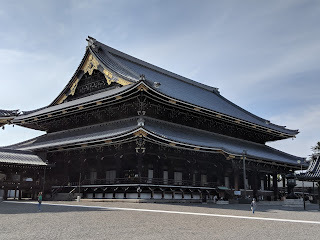 It was by far the largest in terms of the main temple size and with a remarkable display of wealth that you normally don't associate with a Buddhist temple. Surprisingly, it's not that popular and has few tourists. Our fifth temple of the day, my favourite, Sanjusagendo is also a lesser known temple. More importantly, it's a regularly visited temple by devotees and hence, has a calming vibe. This is a unique temple that contains a thousand life-size standing Buddhas, a large Buddha with many hands depicting a 1000-handed Buddha (Avalokitesvara) and 28 guardians of Buddhism among which are the famous Wind God (Vayu) and Thunder God (Varuna). There was pleasant incense in the air and many pilgrims were reciting the 1000 names of Buddha as they slowly made their way from one end to the other end of the temple. I wanted to visit Xian, China to see the Terracotta Army on this trip but it was just not possible. The visit to this temple seemed a lot better due to the intimacy of the display and how tightly they are packed. 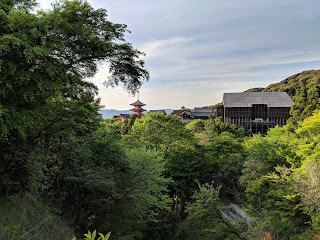 Finally, the sixth temple of the day was Kiyomizudera. Being the only temple open till 6pm, rather than 5pm, you see a lot of tourists aiming to visit it at the end of the day looking rather tired. Unfortunately, the exterior of the main temple was being renovated and hence the wonderful views were slightly impaired by the scaffolding. Having said that, this temple and the shrine next door together create a tranquil setting atop the hill overlooking all of Kyoto.